Please join us in Dubuque for Riverview Center's Evening of Light, our annual fundraiser to support survivors of sexual and domestic assault in your community. Special guest Matthew Sandusky will give the keynote address and outline his work to protect children from sexual abuse. Matthew has moved from being a victim of sexual abuse at the hands of his father, former Penn State football coach Jerry Sandusky, to a survivor. Through his foundation, Peaceful Hearts, Matthew works with child protection centers, schools, and law enforcement agencies to give voice to childhood victims of abuse. This event includes dinner, Matthew's address, services auction, silent auction and jewelry raffle. We will need volunteer help before and during this event. 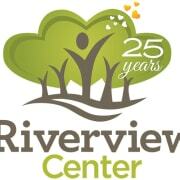 For more information please email, abbymc@riverviewcenter.org.